Sveriges Television Aktiebolag, SVT, is a government owned company responsible to broadcast to the public in Sweden. They offer something for all age groups and they have a variety of shows, Swedish and international, fiction, entertainment, children´s programs, sports, culture and music, but also current events, science, community events and news. The channel began broadcasting in 1956 and was known as Radiotjänst TV, A year later, it was renamed Sveriges Radio TV. In 1969, the second television station TV2 was launched and the existing channel became TV1. Both channels became a part of Sveriges Television (SVT) on 1 July 1979. When SVT reorganised the two stations in 1987, TV1 would only broadcast programmes produced in Stockholm. In 1996, the channels were reorganised again and renamed SVT1 and SVT2. 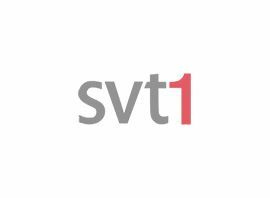 Another reorganisation took place in 2001 with the primary target of making SVT1 the most popular television channel in Sweden. SVT´s main entertainment shows, the most popular being Melodifestivalen, Så ska det låta and På spåret are broadcast on this channel. Since 2006, SVT1 has fallen behind to commercial rival, TV4 in terms of audience share (22.2% for TV4 as opposed to SVT1´s 19%).